The internet is home to hundreds of thousands of blogs, and it is important to have something that makes you stand out from the crowd. You need something that makes your blog unique otherwise people won’t want to spend time reading it and following it. Pick a niche that isn’t totally out there but is different from the rest, for example instead of a travel blog, start a blog that is all about solo travelling. The main aim is to stand out from the blogs that already exist. Look at these tips for choosing your blogging niche. Beginner bloggers often try and write for a particular predefined audience and try and give them exactly what they want. It doesn’t always work like that in the world of blogging. You blog should be about what you find interesting, whether it is your favourite movies, recipes or places to visit. 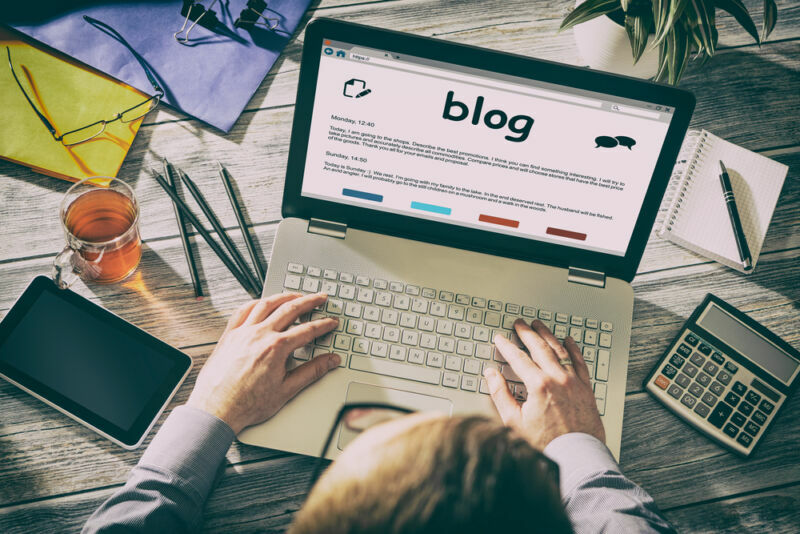 Your blog is your diary and provides a reflection and insight into you and your life, so it should be all about the things you do or don’t like. It is inevitable that that at some point you will encounter some criticism online, it is natural for your readers to have an opinion on what you are writing about. Approach criticism with open arms and use it as a learning curve to improve and identify the weaknesses in your blog. It is always good practice to create a writing schedule for your blog and stick with it. It will help you to discipline yourself and plan your content appropriately. Properly planning what you are writing about and when will avoid any overlaps and can also provide more relevance to your audience. Make sure you note any holidays and world events in your writing schedule, so you can mention them in your posts. Check out this guide on creating a blog schedule that works. It is one thing being able to write an awesome blog, but that doesn’t really matter if no one knows about it. Be sure to set yourself up with relevant social media channels and become familiar with the way they each work individually. It is also a great idea to optimise your blog for SEO, to make sure your audience can find you on search engines. Go to this site for more information on digital marketing for your blog. It is essential to invest both time and money into your blog to make it really successful. It doesn’t have to be too much, but you will need to be proactive with it. You can’t be a food blogger that never eats out at restaurants, and you can’t be a travel blogger who never travels anywhere. Start with small investments and set a realistic budget, your investments will pay off in the end.